New York: Harper & Brothers, 1947. Hardcover. 8vo. 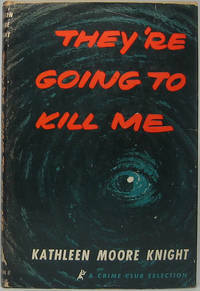 Black cloth with red lettering, pictorial dust jacket. 261pp. Very good/very good. Endpapers and text block lightly age toned as usual; quite mild jacket edgewear. 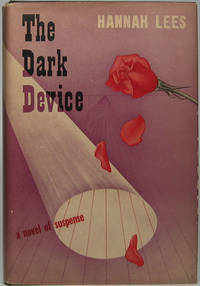 A tight and handsome first edition of this "novel of suspense" with nifty evocative jacket art. Garden City: Doubleday & Company, 1955. Hardcover. 8vo. Tan pebble-grain paper over boards, pictorial dust jacket. 186pp. Near fine/very good. Faint jacket edgewear only. A handsomely tight and lovely first "Crime Club" edition of this whodunit set in Boston's Beacon Hill, with delightfully corny jacket art. New York: Farrar & Rinehart, 1945. Hardcover. Small 8vo. Grey cloth with orange spine lettering, pictorial dust jacket. 248pp. Decorative endpapers. Very good/very good. Text block lightly age toned per usual "War Production Board" standards; jacket only faintly edgeworn; bookplate on inner flyleaf. Exceptionally tight and bright first edition of this "Murray Hill Mystery" whose "ingredients are a Maine background, a big house, a bewildered and bedeviled girl, a helpful neighbor and, more importantly, the chef...."
New York: Dodd, Mead and Company, 1911. Hardcover. Small 8vo. Red cloth with ivory spine lettering and gilt-ruled large color plate to front board. vi, 304pp. Colro frontispiece, 4 full-page called-for color plates. Near fine. 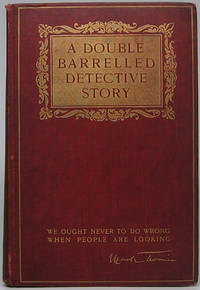 Exceptionally tight and bright first edition of this early mystery by the prolific British novelist (1875-1932). New York: The Mysterious Press, 1984. Hardcover. 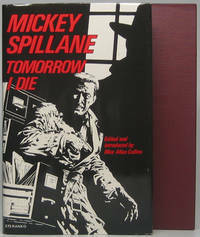 Introduced and edited by Max Allan Collins. 8vo. Burgundy cloth with gilt spine lettering, pictorial dust jacket, burgundy cloth over boards slipcase. xv, 234pp. Frontispiece, illustrations. Fine/fine. Absolutely pristine, tight and perfect first edition, limited on rear colophon to 250 copies numbered (this #153) and boldly signed by Spillane. First time these nine short tales are published in hardbound form. New York: Harper & Brothers, 1902. Hardcover. Illustrations by Lucius Hitchcock. Small 8vo. Red cloth with gilt lettering, rules and decoration. 179pp. Top edge gilt. Tissue-guarded frontispiece, 5 (of 6) full-page called-for plates, pictorial endpapers (front and rear endpapers both form A). Very good. Light edgewear, mainly at spine head and tail, and bit of corner wear; missing Hitchcock plate provided with modern facsimile on period paper. Tight, nice first edition with bright giltstamping of this whodunit in which Twain borrows Arthur Conan Doyle's Sherlock Holmes and plants him in the Wild West. BAL 3471. New York: Harper & Brothers, 1902. Hardcover. Illustrations by Lucius Hitchcock. Small 8vo. Red cloth with gilt lettering, rules and decoration. 179pp. Top edge gilt. Tissue-guarded frontispiece, 6 full-page called-for plates, pictorial endpapers (front endpaper form A, rear endpaper form B). Very good. Mild bit of edgewear and slightest rubbing of gilt; several outer page edges a bit discolored; couple miniscule words inked at top of front flyleaf. 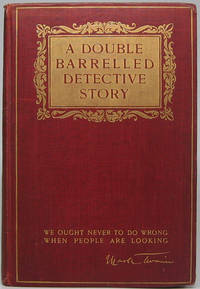 A tight and attractive first edition of this whodunit that features Sherlock Holmes in the American West. BAL 3471. New York: E.P. Dutton & Co, 1966. Hardcover. 8vo. Blue cloth with black spin e lettering, pictorial dust jacket. 184pp. Fine/near fine. Book and binding are supremely pristine and jacket shows just the faintest of discernible wear. A superbly tight, handsome first edition of this novel in the "Dutton Novel of Mystery and Suspense" series. 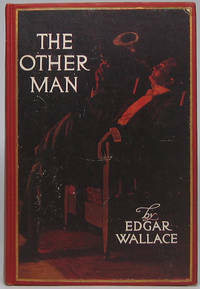 Gruber (1904-69) was a prolific pulp fiction writer who penned a great many detective and Western novels. Garden City: Doubleday & Company, 1949. Hardcover. 8vo. Burgundy paper over boards, pictorial dust jacket. 219pp. Very good/very good. Text block moderately and evenly age toned as usual; jacket lightly edgeworn, mainly at head of spine, which bears couple of tiny chips. A tight and nice first edition of this "Crime Club" novel about a New York counterfeiting ring. Snazzy front panel graphics notes "Murder Marks the Trail of Bad Money." New York: Dodd, Mead & Company, 1953. Hardcover. Small 8vo. Teal blue paper over boards with orange spine lettering, pictorial dust jacket. 171pp. Very good/very good. Internally fine, though faint binding edgewear; jacket too near fine except for abrasion at upper right of front panel. A tight and quite nice first edition of this Mike Shayne mystery. Philadelphia: J.B. Lippincott Company, 1943. Hardcover. Small 8vo. 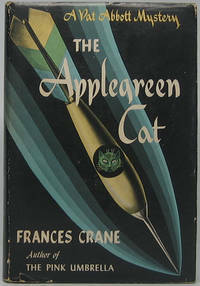 Light green cloth with dark green spine lettering, pictorial dust jacket. 221pp. Near fine/very good. Mild jacket edgewear. 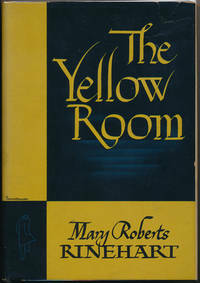 Tight, extremely attractive first edition of the fifth title in the noted Pat and Jean Abbott mystery series of 26 titles published between 1941 and 1965. This sharp copy bears a fine autograph addition: Tipped to front flyleaf is the original transmittal envelope bearing a fine heavy stock 5" X 3" card signed huge and bold in red marker by Les Tremayne, who also dates it at upper right "6-29-90." Tremayne (1913-2003) was a noted radio, film and television actor who starred in the radio series "Abbott Mysteries" (1946-47). A handsome and unusual copy. London: Hamish Hamilton, 1972. Hardcover. Small 8vo. Blue paper over boards with gilt spine lettering, pictorial dust jacket.190pp. Fine/fine. Tight and bright first of this "Fingerprint Books" edition of this New York City-based mystery, originally published in 1951. New York: Davis Publications, 1975. Hardcover. 8vo. Red paper over boards with black spine lettering, pictorial dust jacket. 318pp. Near fine/very good. Faint jacket edgewear. First edition, tight and quite nice, of this collection that includes short novels by Charlotte Armstrong and Ed McBain, a novel by Earl Derr Biggers, novelettes by Lawrence Blochman and Michael Gilbert and short stories by Robert L. Fish, Michael Harrison, Michael Collins and others. New York: Charles Scribner's Sons, 1948. Hardcover. 8vo. Tan paper over boards with red lettering and rules, pictorial dust jacket. 209pp. Very good/very good. Jacket edgeworn, with archivally closed (on verso) edge tears and several small edge chips. 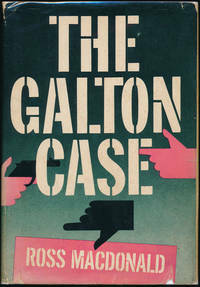 A tight and nice first edition of this Colonel Primrose mystery. Evocative front jacket graphics featuring a book of matches and a woman fallling down a flight of stairs. New York: Alfred A. Knopf, 1959. Hardcover. Small 8vo. Red and pink decorative paper over boards with black spine lettering, pictorial dust jacket. 242pp. Near fine/very good. Jacket a bit rubbed and lightly edgeworn, with several archivally closed (on verso) edge tears and couple of tiny edge chips. Quite handsome first edition of the eighth Lew Archer mystery by American-Canadian crime meister Kenneth Millar (1915-83). Sharp copy of this scarce title. London: The Thriller Book Club, n.y.. Hardcover. Small 8vo. Turquoise cloth with black spine lettering, pictorial dust jacket. 223pp. Very good/very good. Faint binding edgewear and same with jacket, which is slightly age toned. Handsome and tight reprint edition of this 1956 Miss Silver mystery, with wonderfully cheesy front jacket panel art. New York: George H. Doran Company, 1925. Hardcover. Small 8vo. 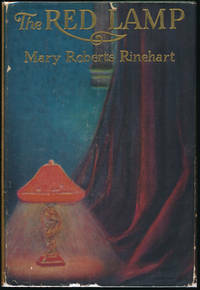 Green cloth with orange lettering, pictorial dust jacket. 317pp. Very good/very good. Faint "flecking" to cloth spine, else near fine and internally fine; jacket rather age toned and edgeworn, with a few tiny edge chips along bottom. Quite handsome first edition of this mystery -- and with lovely autograph addition: Tipped to front flyleaf is a Typed Note Signed from Rinehart, 1p, 8" X 10¼", Washington, DC, 31 March 1922. Addressed to George Vincent Campbell. Very good. Lightly age toned and with original folds (not weakened); single small mounting trace. On letterhead of Wardman Park Hotel, Rinehart makes a young admirer very happy: "You have asked for my autograph, so here it is!" Large, bold full signature in blue ink. New York: Pantheon Books, 1986. Hardcover. 8vo. Cream cloth spine with silver lettering and beige paper over boards, pictorial dust jacket. 256pp. Fine/near fine. First edition of this unusual mystery set in Nigeria, tight and near pristine. New York: Alfred A. Knopf, 1982. Hardcover. 8vo. Black cloth spine with silver lettering and blue paper over boards, pictorial dust jacket. 237pp. Near fine/near fine. Red remainder mark on top page edges. 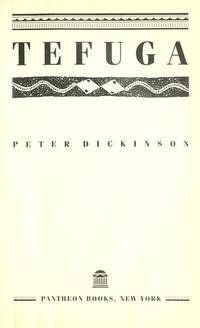 A tight, attractive first edition. New York: Walter S. Black, 1948. Hardcover. Small 8vo. Grey paper over boards with brown spine lettering, pictorial dust jacket. 165pp. Near fine/very good. Mild jacket edgewear. 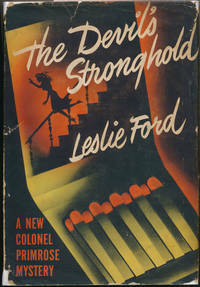 Tight, handsome "Detective Book Club" reprint edition of this Colonel Primrose mystery, with superb front jacket graphics featuring a book of matches and a woman falling down a flight of stairs.